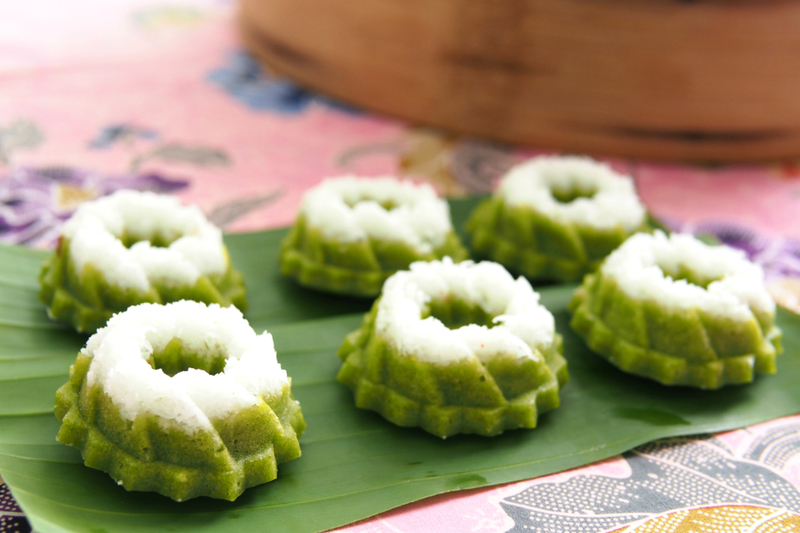 I have been noticing that quite a few people have been making this pretty mini sponge cake. Since I have more time now, I attempted the recipe from Nasi Lemak Lover. There are ample Pandan Leaves growing at our home. I was a little greedy and used 7 Pandan leaves instead of 4 from the original recipe. The colour turned out very green. I did not use Ovalette (emulsifiers) because I try to avoid chemical additives and the sponge cake did not turn out to be as soft and spongy as those sold at stores. 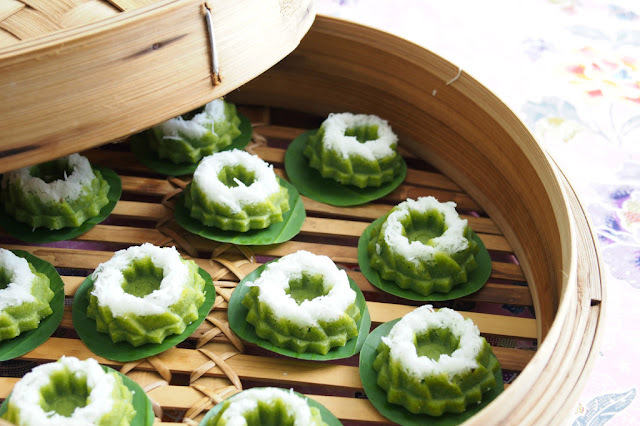 However, the cakes were still delicious and full of the pandan and coconut aroma. Emulsifiers like Ovalette produce wonderfully soft and smooth textured cakes and many other food products. I try to avoid using it as I do believe that natural is best. 1. Mix the topping ingredients together and keep aside. 2. 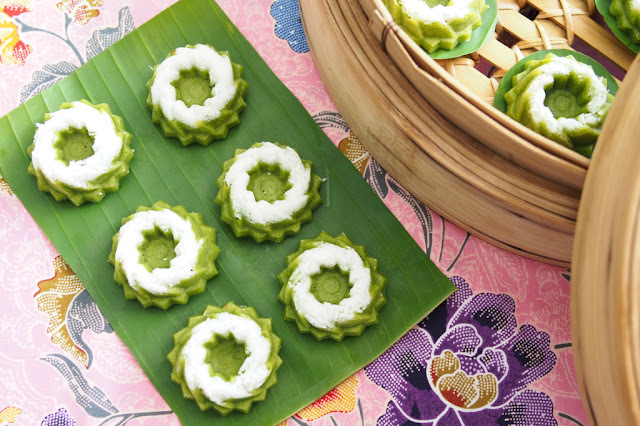 Brush the mould with some cooking oil, fill bottom of the mould with shredded coconut. 3. Stack 2 moulds together and press till shredded coconut is firmed. 4. Sift flour and baking powder. 5. Beat sugar and eggs until fluffy. I used electrical mixer. 6. Add coconut milk and mix well. 7. Slowly add in flour and mix till well combine. 8. Fill the sponge cake mould with batter till full. 9. Prepare steamer, when water boil put in the mini sponge cake, steam for 10 -15mins. 10.When cake turned slightly cool, remove the cake from the mould.